We’re back and it’s been a W H I L E…. let’s jump right back in with some Single Sign-On (SSO) passwordless fun with Windows 10, Azure AD Join, Microsoft Intune and Windows Hello for Business. This article is also uploaded to the Access Onion blog here. In this post we describe one route to incorporating passwordless technology that leverages customer investment in the Microsoft cloud, specifically Enterprise Mobility + Security. We assume the customer is in possession of a hybrid infrastructure, with on-premise pieces (Active Directory Domain Services, Certificate Services etc.). Most customer configurations we come across are those where a Hybrid Azure AD-join configuration has been opted for, with the on-premise identity being the dominant one. 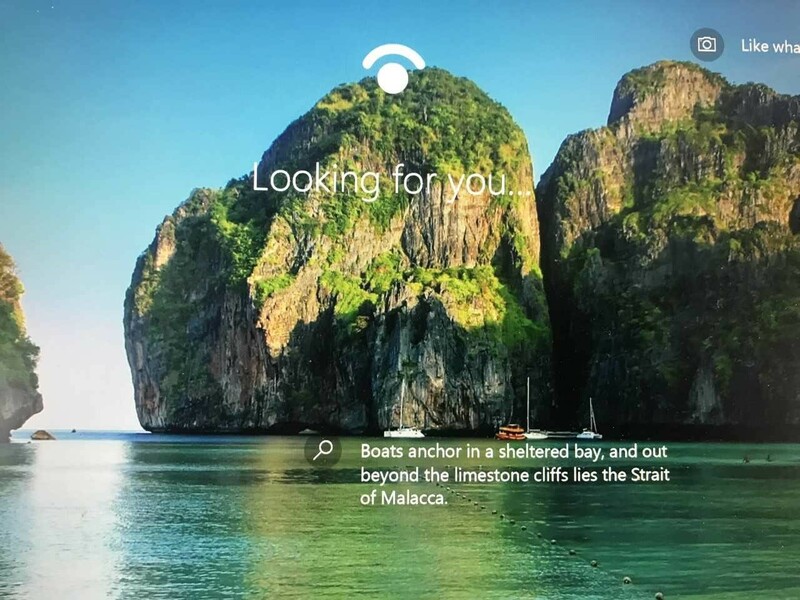 We’ll use Windows Autopilot to kick start a hypothetical migration from hybrid to cloud-only, in doing so using Microsoft Intune as an alternate for SCCM and on-premise GPO, rolling out Windows Hello for Business as part of the process, together with Wireless 802.1X and AlwaysOn VPN profiles. Finally, a single sign-on (SSO) path back to on-premise resources is a must. Machines are built using Windows Autopilot and joined to the Azure Active Directory (AADJ). Since these are AADJ devices, they will not be part of the on-premise Active Directory. User accounts exist in both the cloud and on-premise AD. In this use case, we’re going to deploy a Windows 10 machine using Windows Autopilot. 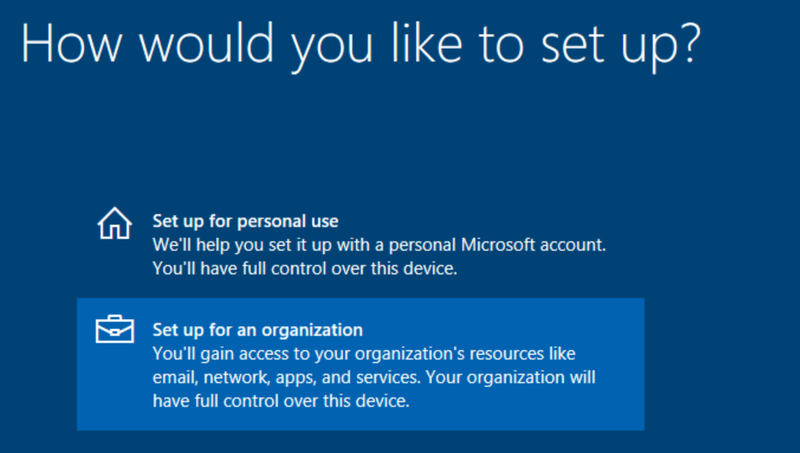 In a conventional Windows deployment, Out of the Box exprience (OoBE) requires the user to identify whether the device is personally or organizationally owned, the selected option then triggering a different set of configuration workflow. For an organizational join, the client needs to have visibility to the Internet to process the registration of the device and the user. Windows AutoPilot simplifies this decision-making process by directly tying the procured hardware to the organization tenant, importing the hardware ID of the device into the Microsoft Store for Business. The Out of Box Experience (OoBE) lands the user on the tenant branded logon screen. When prompted for credentials, we enter our tenant details (in this example Route443). In a standard Windows configuration, we’d be required to enter a password after entering the username. Since our goal is passwordless, we look to stronger mechanisms for authentication. During OoBE deployment Windows Hello for Business is not available, so an alternative credential is required. FIDO 2.0 would be ideal but is not yet General Availability (GA) in a Windows 10 release. Vendors such as Yubikey have incorporated FIDO 2.0 into their product range and are ready to support the up-coming release of Windows 10 that includes support for FIDO 2.0. With Multi-Factor Authentication (MFA) enabled in the tenant and phone sign-in configured for the user, the Microsoft Authenticator app can be used to do passwordless sign-in. 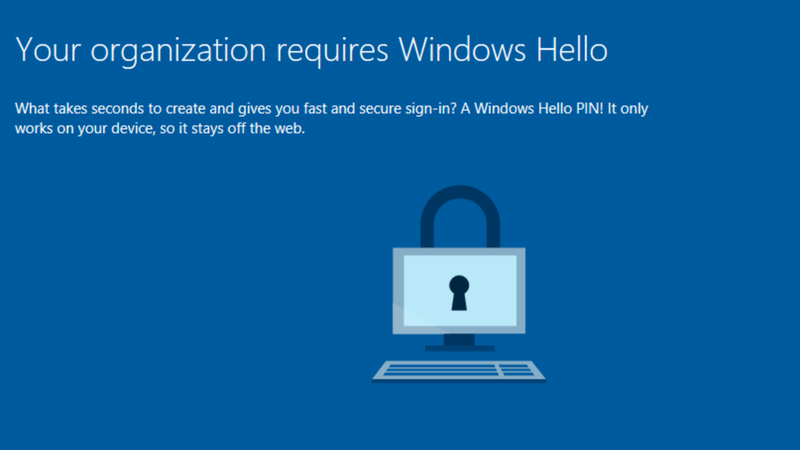 Like Windows Hello for Business, it uses key-based authentication for the user credential bound to a device (Biometric or PIN). With phone sign-in enabled for the AAD account, the enrolling user will see a number onscreen. 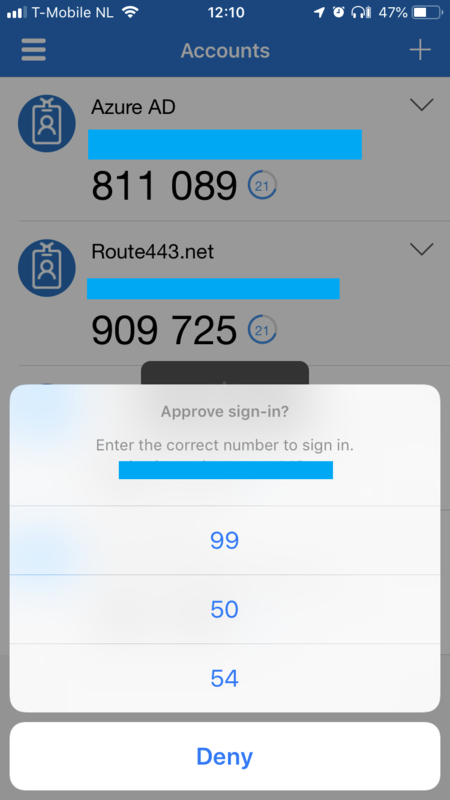 Within the mobile authenticator app, the user must match the number that appears on-screen with that surfaced via the mobile app. Note that the App itself can be protected either by Touch ID or PIN. Once successfully authenticated, the machine will continue with configuration. 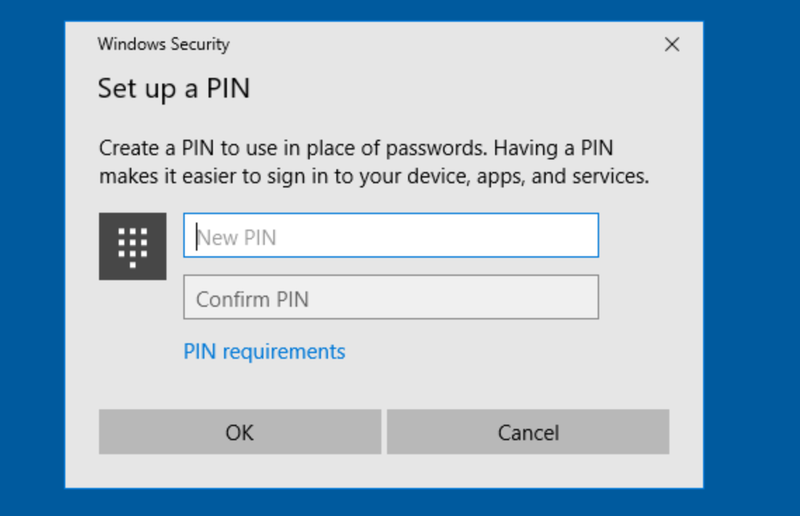 Consistent with the organizational Intune policies in this example, the user will be prompted to register a PIN for Windows Hello for Business. This is also used for fallback in case biometric options (facial recognition/fingerprint) are not available. Click on PIN requirements to see what your organizational policy has decreed. Once the PIN is set, the user is able to login with their Hello PIN. Should the device have other Hello capabilities, such as facial recognition or fingerprint reader, then these can also be engaged. In the above example, the device is configured for facial recognition. 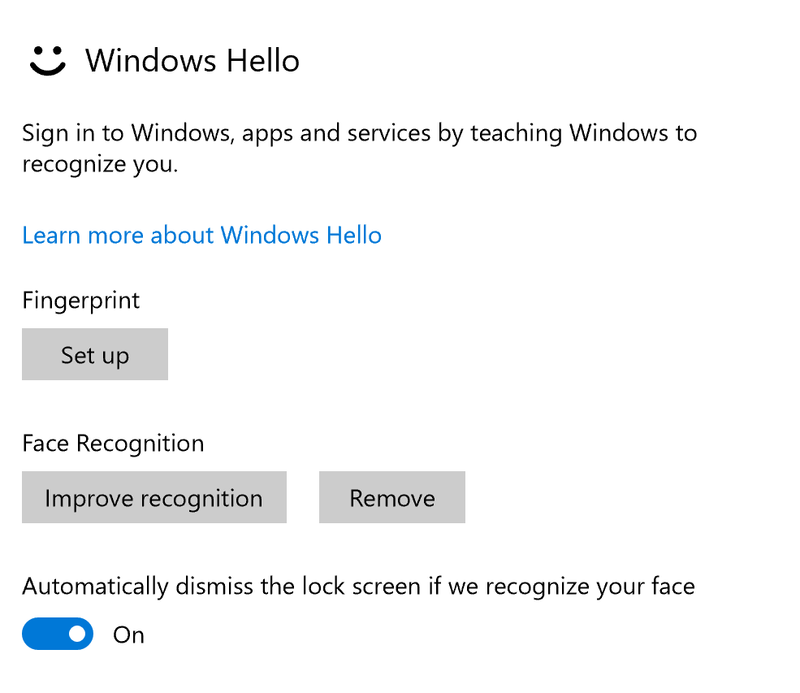 Changing biometric settings can also be modified under Windows Settings|Accounts|Sign-In Options. Devices are enrolled for Intune MDM and Azure AD joined. This can be checked via Windows Settings|Accounts|Access Work or School. With device configuration profiles defined in Microsoft Intune and assigned to devices, the AADJ client will receive the appropriate configuration. 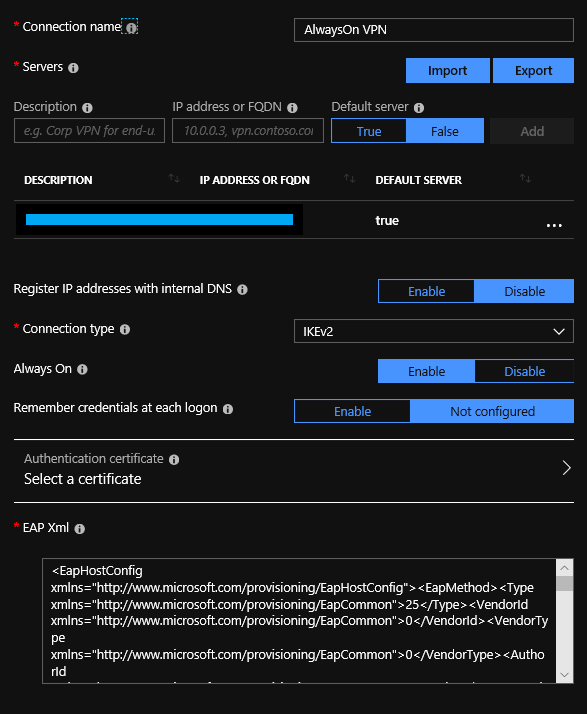 If certificates are pushed out via SCEP, then an Enterprise PKI and NDES server, acting as a Registration Authority, is required, together with an Intune connector installed on the server. As announced at Ignite, Intune will support 3rd party CAs in the near future. A configuration profile is required for each tier of the PKI. In this example, a two-tier PKI exists, with a profile for each CA pushed to the client. A SCEP profile is rolled out with a Client Authentication EKU to satisfy the 802.1X and AlwaysOn certificate requirements. This certificate is then used by these services to authenticate the client to the back-end Network Policy Server (NPS) running behind the respective wireless and VPN services. While Windows Hello for Business prefers hardware-backed credentials, not all computers are in possession of a Trusted Platform Module (TPM). Intune provides options for falling back to a software-based credential, should the need arise. In Certificate Trust scenarios using Windows Hello for Business, a SCEP profile is required with a Smart Card EKU. This is to satisfy access conditions for Single Sign-On (SSO) for Windows Hello for Business against the on-premise domain. The Secure Wireless LAN profile contains the configuration for the on-premise wireless network, EAP type settings, authentication methods etc. Use of certificates ensures that access to the on-premise wireless is seamless when in-range. For a more immersive experience, machine certificates are preferred for use, subject to their availability in Intune. The AlwaysOn VPN profile contains the configuration for the on-premise AlwaysOn VPN server (Microsoft replacement for DirectAccess). The more detailed settings are minted from a EAP.XML file generated on a test machine manually and then imported into the Intune blade in Azure Resource Manager (ARM) console. Dependent on whether the user is on-site at the business location or working from home, connectivity to the network, either via secure wireless (802.1X) or IPsec VPN (IKEv2) gives access to the corporate resources, courtesy of the provisioned certificates. This is carried out transparently. Since these are user certificates, connectivity is established after interactive logon. This is down to a limitation in the Microsoft Intune SCEP configuration profile that assumes all assigned certificates are to be user-oriented, rather than machine. Thankfully, based on details from Microsoft at Ignite, an upcoming Microsoft Intune release will provide additional support for machine certificates. Once these are available, we’ll follow up with an additional post. So how are on-premise Active Directory resources accessed in a native Azure AD Join (AADJ) scenario? It may come as a surprise, but AADJ clients can also communicate with on-premise Active Directory resources. This is down to functionality built into recent versions of the Windows 10 client and Azure AD Connect, providing additional details during AAD Sync that can be subsequently used by the Windows client. It’s worth pointing out that this functionality is not specific Windows Hello for Business, but for AADJ clients as a whole that wish to communicate with on-premise resources. It is assumed there is line-of-sight to a on-premise domain controller from the Windows 10 client. Line-of-sight can mean on-premise wired, wireless (802.1X) or Always On VPN.. For our passwordless scenario, the authenticated user has the aforementioned “Hello” certificate deployed via SCEP. If on-premise domain controllers are Windows Server 2016 or above, then the certificate trust model for Windows Hello for Business, described here, can be dropped in favour of the key trust model. This simplifies deployment by not requiring SCEP/NDES for the Smart Card. Using DSREGCMD from the command-line we can derive some useful information concerning the client. This is an Azure AD joined device, with TPM-backed private keys for certificates created during the enrollment being stored in TPM. The user also has been enrolled for Windows Hello for Business (NgcSet: YES). In this article, we illustrated how it is possible to optimise investment in Microsoft cloud services for deploying workspaces across any network, using modern secure authentication, whilst maintaing the ability to seamlessly access on-premise applications. This managed workspace achieves feature parity comparable to that of a classically deployed workspace. By utilising modern (passwordless) secure authentication, together with Azure AD Domain Join, this provides opportunities for customers to take advantage of other identity-as-a-service pieces already available in the Microsoft cloud. For more information on these interesting topics, please contact us at Route443. There’s a significant shift in how organizations are viewing information security, according to The Global State of Information Security Survey 2017 (click to download the original publication) from PricewaterhouseCoopers (PwC). PwC calls out real-time monitoring and analytics as key to proactive threat intelligence – 51 percent of respondents monitor data to detect security risks and incidents. To help you gain insight into the users and devices accessing your applications, Route443 is able to assist you on the area of Identity & Access Management, that can be used to make access policy decisions. “Identity has been at the heart of most every breach in the past two years“. – Richard Kneeley, PwC US Managing Director, Cybersecurity and Privacy. Phishing has emerged as a significant risk across all companies and every industry. Thirty-eight percent of those surveyed reported phishing scams. Criminals will send phishing emails to employees in order to trick them into sharing their legitimate user credentials, gaining access to company systems and data. Passwords alone aren’t secure enough to protect against phishing attacks. PwC reports that businesses are adopting advanced authentication, or multi-factor authentication technology such as software tokens, biometrics and smartphone tokens. As security perimeters dissolve and identity expands from people to connected devices, identity and access management (IAM) tools are more essential than ever to protect access and prevent incursions. 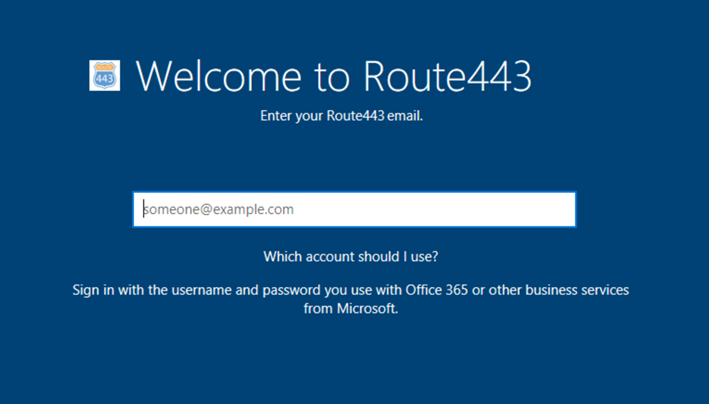 Route443 is able to assist you by implementing conditional access, contextual based where having the password is just not enough. Getting devices into the context of authentication and authorization, enables frictionless and intuitive authentication for your end users. Another trend listed by PwC is the use of additional data points to identify suspicious behaviors and patterns – data such as a user’s login time and location, type of device, network, etc. to create risk-based access decisions. Protecting the Identity is the fundamental ground rule of our Identity Driven Security approach, Route443 is able to assess, guide and implement all required measures. By blocking authentication attempts based on user location, network type or their device, you can reduce risks associated with anonymous networks, countries you don’t do business in, or exposure to out-of-date and risky devices. Please stay tuned, follow our website (www.route443.eu) our blog (blog.route443.eu) to receive the latest information from us. For more than twenty years the Desktop PC has been the staple of enterprise computing, as the main productivity tool for knowledge workers. This dominance is being increasingly challenged as the modern workforce shifts to a more mobile experience, with modern operating systems reflecting this commoditized (read: BYOD) trend. Within this new generation of computing the traditional way of managing (thereby controlling) those devices will no longer apply or suffice. The reality is that as we see the desktop shifting toward a more mobile form, our traditional view of how we perceive infrastructure and security is fundamentally challenged. Not convinced? Stay tuned and we’ll delve into how we see this next generation computing mapping out. Within the mobile world there’s a powerful and agile model of security and management called Enterprise Mobility Management (EMM). It contains three major management components Mobile Device Management (MDM), Mobile Application Management (MAM) and Mobile Content Management (MCM). Here’s why: With the rise of mobile computing, employees don’t use (or not only) a locked-down PC on the corporate network to do their jobs. Instead they use many different devices, some company-owned and some personally owned. These devices run a vast array of (mobile) apps and connect across networks that are outside of IT’s control. Legacy Windows client management tools (like Microsoft’s System Center Configuration Manager (SCCM) are too inflexible for modern computing environments. They imply management of a client through installation of a complex system image on the PC, constrained by the boundaries of the organization. Solutions such as DirectAccess are last gasp entreaties to modernize the managed client in the conventional sense. EMM moves the legacy PC paradigm from complex and hard-coded system image to context-based policy. With Windows 10, Microsoft is addressing the need for greater security and management flexibility in the enterprise. Yet, the Apple MacOS platform has been in this position for many years. From the start of the “mobile century”, the MacOS platform has been considered a mobile device next to the smartphones and tablets using the Android and iOS platform. So why is this development now taking momentum ? Could it have something to do with the impressive number of 400 million Windows 10 devices already in the field ? Clearly an operating system that is imposing itself on the market in such volume, while supporting much of the desired functionality organizations and their users are looking for, is going to have impact on the conversation. The traditional Windows architecture offered a broad attack surface because both the file system and the operating system itself presented vectors. To counter the risk, IT had to install, as part of the image, additional security agents to monitor threats and remediate accordingly. Maintaining the integrity and security of data on the PC was a constant struggle. Likewise, this model required devices to join a Windows domain governed by policy (GPOs) , or third-party management software, controlling what employees could or could not do on this PC. It assumed devices were corporate-owned, Windows-based, and connected to a persistent local area network (LAN). For the most part, the modern enterprise, moreover the IT department, no longer has the latitude to work this way. The demands of today’s employees; working on any device, in a variety of environments — home, airports, coffee shops, hotels, etc., means the traditional approach can no longer support this work style. Mobile devices are not LAN-bound and are frequently owned by the employee, rather than the company. The clouding of business v personal and the way in which the focus shifts freely from device to application to data, means overlapping is inevitable. Flexible use of devices becomes deeply embedded in many aspects of an employee’s personal and work life. To address this new vista (no pun intended), Microsoft has re-architected Windows 10 to move beyond the legacy management systems and fully supporting EMM. EMM solutions like Microsoft Intune are providing an efficient and flexible way to provision services to employees and secure business data on modern operating systems. The move to EMM represents a major change in how the desktop will be secured and managed moving forward. We believe that organizations need to start planning now for the moment where PCs are managed and secured like mobile devices, and desktop apps are developed and deployed like mobile apps. That’s a major upcoming shift within the technology landscape, enabling the transformation of the desktop. In a upcoming blog post we’ll explain the technology behind EMM solutions, in specific the Microsoft Intune EMM solution and will also provide you a sneak preview in the near future to help you make the right decisions. Microsoft DirectAccess continues to be a strong remote access solution in the on-premise space. On 27th July 2016, Richard Hicks, MVP in Cloud and Data Center Management and well-known DirectAccess expert, will be hosting a webinar with PointSharp to describe the combination of strong authentication using DirectAccess with PointSharp ID. You can enroll for this webinar here. Meanwhile, if you can’t make the webinar, Route443 will demonstrate in this blog post how the two technologies can work together. PointSharp ID, for those not familiar, is a robust two-factor authentication (2FA) service that combines One-Time Passwords (OTP), and other alternate authentication mechanisms, for use in a wide variety of logon scenarios. Developed by PointSharp AB, a Swedish based security company, it’s a flexible, low cost, easy to use product, that provides a comprehensive set of authentication and security features . In this post, we look at how DirectAccess and PointSharp ID can be used to strengthen the DA authentication process. 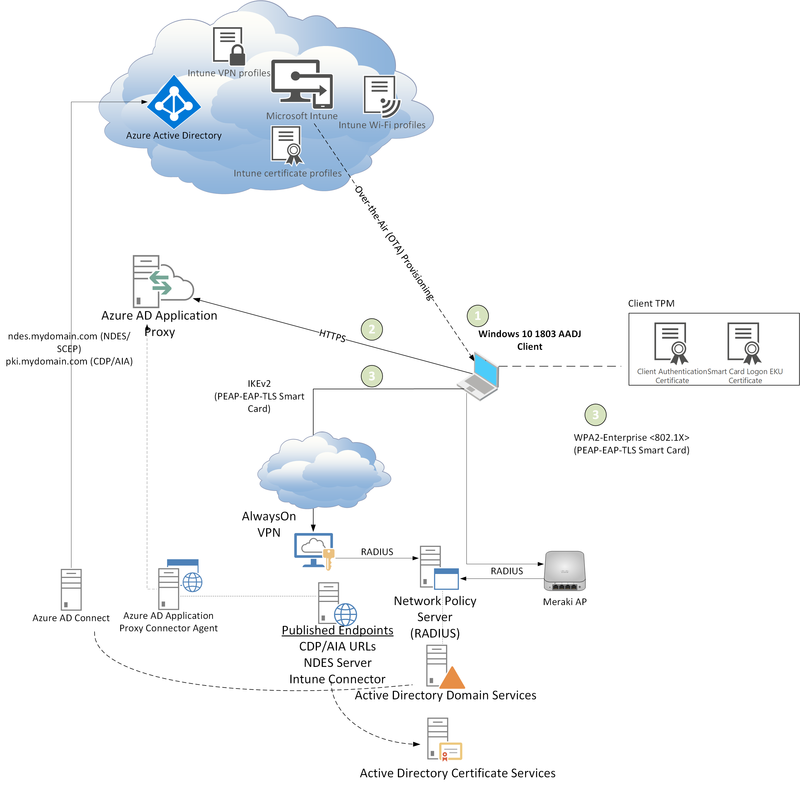 Windows 8.x and beyond support a simplified access model using DirectAccess a kerberos proxy. For OTP configurations, use of a Public Key Infrastructure (PKI) is mandatory. Through an appropriately configured Active Directory Certificate Services (AD CS) certificate authority, DirectAccess acts as a certificate enrollment agent, thereby providing successfully authenticated clients with “OTP” certificates for veracity. While Windows 7 is supported for two-factor authentication, it requires the installation of a separate application, the DirectAccess Connectivity Assistant, to provide the necessary OTP capability. For expediency, we’ve limited this test setup to Windows 8.x and Windows 10 Enterprise, both with support for 2FA in DirectAccess built-in. A reference document outlining what is required for this configuration can be found on Microsoft Technet here. Richard Hicks has also written an excellent post about DirectAccess with OTP. Let’s take a peek at our basic test logon workflow. In this configuration Windows 8.1 / 10 Enterprise Client(s) are configured with machine certificates issued by an AD Enterprise Certificate Authority. DirectAccess relies on IPsec policies for authenticating and securing traffic from Internet-connected clients. In order to authenticate to domain resources, the client must first establish connectivity to DNS servers and Domain Controllers (DCs) through what we refer to as the Infrastructure Tunnel (1). Once authenticated successfully, the machine is available to reach management servers identified during the DA installation, for example SCCM server(s) to process software updates. At this point, the user has not authenticated and from the Windows side bar (2), they need to press <CTRL><ALT><DEL> . The user has been issued with a soft token on their Smartphone by PointSharp ID. They reference this token (2a), input the time-based OTP (TOTP) on the logon screen and their credentials are sent to DA. As a RADIUS client, DirectAccess forwards (2a) the request to the PointSharp ID RADIUS server, where a user lookup in AD is performed (2b) and the OTP validated by PointSharp ID. Upon successful authentication, the DirectAccess server enrols a short-lived OTP certificate on behalf of the user (2c) and this certificate is then used by the DA client together with the machine certificate for authentication of the Intranet/User tunnel (3). With the DirectAccess role installed, let’s have a look at some of the specifics of this configuration. Rather than cover the entire DA configuration, we’ll jump to the pertinent parts of a DA/PointSharp configuration. We begin midway through Step 1 of our DirectAccess server setup. On the Select Groups option, we can determine which managed clients will receive the DirectAccess group policy (GPO). By default, the built-in Domain Computers group is enabled. As the above graphic and the warning illustrate, it’s not a good idea to uncheck the “Enable DirectAccess for mobile computers only” as the combination of Domain Computers and the cleared checkbox will mean all domain computers will receive this configuration. It’s common for organizations to replace the default Domain Computers group with an AD security group to filter application of the DirectAccess group policy. Although this requires manual intervention, requiring adding computers to the created group, it does add an additional level of control in determining which (computer) clients are allowed remote access. Moving onto the Network Connectivity Assistant (NCA) screen, add an HTTP endpoint from your corporate network that the NCA can use to validate the connection. In Step 2, we enable the two-factor authentication elements. Before we leap ahead, let’s have a look at what’s being done to prepare the PointSharp ID server and AD Certificate Services. PointSharp ID acts as a RADIUS Server for DirectAccess. This requires adding the DA server as a RADIUS client to the PointSharp configuration. A shared secret is used between the two to pair the RADIUS “trust”. Once the RADIUS client is added, an authentication method can be created in PointSharp ID to support OTP logon through DirectAccess. In the example below, a specific listener is setup for DA. Since DirectAccess does not support challenge/response, the Password Type Stateless:OTP is used. Our Certificate Authority (CA), a subordinate enterprise CA, is configured as per the documented requirements. Two templates have been created (Windows 8/2012 R2 compatibility level). The first template is for the DirectAccess server acting as a registration authority, or in PKI parlance an Enrollment Agent. This template uses an Object Identifier (OID) specific for this task- 1.3.6.1.4.1.311.81.1.1 and in the Application Policy, the original OIDs are removed and replaced them with the DirectAccess OTP identifier. NB: This template is a duplicate of a Computer template. The DirectAccess computer account then needs to be given permission to auto-enroll on this template. Also in this setup, the Default Domain Policy Group Policy Object (GPO) in Active Directory is providing the requisite auto-enrollment policy, so the DA server may request and receive certificates and updates. Back in AD Certificate Services, the validity period is set to 2 days and renewal period to 1 day. For certificate naming, this is based on the DNS Name of the server, with subject alternate name (SAN) also set to the DNS name. Back to the DirectAccess server, the PointSharp ID server information (OTP RADIUS Server) needs to be filled in, a shared secret specified and authentication port to be used. The Certificate Authority hosting the OTP template(s) then needs to be identified to the DirectAccess Server configuration. The templates created earlier are then viewable. If there are any accounts that are exempt for using two-factor authentication, then these should be added. In Step 3 of the configuration wizard, ensure adding the FQDN of the enterprise CA as a management server. Once the DirectAccess server configuration is complete, GPO’s created etc., the relevant clients (members of the specified security group) will receive their DA configuration on reboot. Testing from the Internet, the Infrastructure (computer) tunnel is negotiated during client startup. This aspect of the configuration remains unchanged from a base DA setup. It’s the User (Intranet) tunnel that requires further interaction once the user has logged in to Windows. From a Windows 8.1 client, clicking on the Networking icon in the system tray. We are informed that the connection requires additional attention. Clicking on Continue, the user is prompted to press <CTRL><ALT><DEL> to enter additional credentials. This can be either a smart card, a virtual smart card or (in this case) a One-Time Password (OTP). Clicking on One-time password (OTP) shifts the login focus to entering the OTP credential. Referencing the smartphone, we enter the PointSharp One-Time Password (OTP). Since PointSharp ID supports OATH tokens, we’re pretty much free to choose which type of authenticator client we wish to use on our smartphone. In this instance we are using the Microsoft Authenticator app on Windows Phone. In another setup using Google Authenticator, we’ve enrolled an iPhone 6 for OTP integration. Once credentials have been enter at logon, these are sent to the DA Server as a RADIUS Client and then forward to the PointSharp RADIUS Server for authentication. If the OTP is valid then an authentication successful event is generated. An OTP Certificate is issued to the client, via the DA Enrollment Agent and Enterprise CA, and the second User (Intranet) tunnel is established. For Windows 10 clients, the behavior is similar, albeit with some slightly nuanced user interface changes. Again, clicking on the Network icon will take us to the network summary screen. The user is taken to the Network & Internet settings section. Click again in the Action needed area. Click on the Continue button and the user is prompted to press CTRL><ALT><DEL> to enter their credentials. Under Windows 10, we’re directly asked to enter our One-Time Password (OTP) credentials. We enter the OTP from the smartphone. And the connection is established. From our Windows 10 client, we can then use Powershell to check our connection using the Get-DAConnectionStatus cmdlet. If you’re building this environment from scratch, ensure that basic DirectAccess connectivity is working before proceeding with building in two-factor authentication; check the DA server is fully operational, clients are auto-enrolled with computer certificate, both tunnels are starting etc. Similarly, we recommend building out your PointSharp ID configuration, before beginning integration with DA. If you’d like to know more on implementing DirectAccess or similar technologies, please contact us. We’ll be happy to assist.